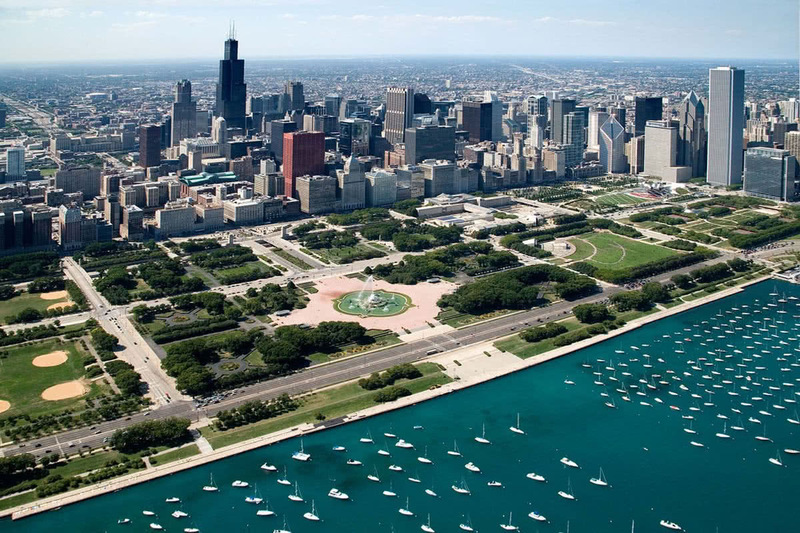 Adjacent to Grant Park and the Museum Campus, Chicago’s stunning skyline surrounds this splendid marina. Buckingham Fountain marks the center channel of the harbor – its colorful lights and huge spray guiding night sailors to port. Yachts are located on moorings in Monroe Harbor that are accessed by water taxi. These moorings are extremely safe and easy to use. They provide excellent privacy for a tranquil evening aboard your yacht.